Davis wasn’t always a boat builder, but he was always on boats. He began working as a mate on fishing boats at the ripe old age of 13, and spent some of his sea time working for the renowned North Carolina captain Omie Tillet. 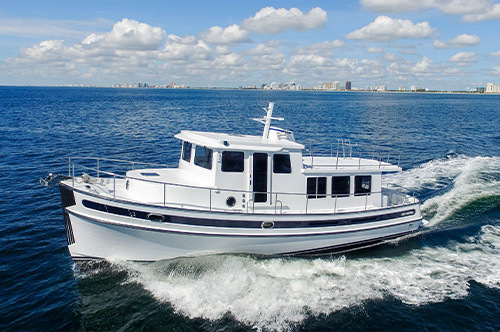 Throughout his career Davis created boats with wood, molded fiberglass, and cold-molding glass-over-wood techniques, spanning the technological ranges from scarfing planks, to building a hull upside-down on a jig—a first, at the time—to molding fiberglass with advanced methods like resin-infusion. 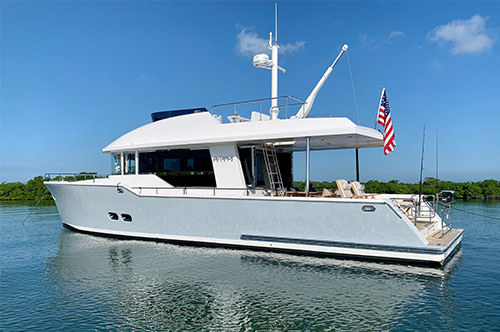 At its peak, Buddy Davis Boatworks boasted a production of 30 sportfishing yachts in a single year. I spent a day fishing and boat testing with Buddy when he introduced his 45 Express, and found him full of the hospitality and grace North Carolina culture is known for. And although some questioned his business tactics through the years (there were several incarnations of Davis-named boatbuilders, sometimes resurrected after alleged financial difficulties), one thing can not be questioned: this man’s impact on the boat building industry was huge. You can bet that 100 years from now we’ll still be talking about Buddy Davis—and running the boats he built. 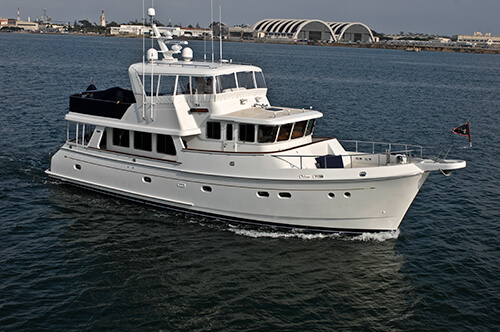 Some of Davis’s greatest accomplishments include the 48 Davis Express and the 58 Sportfish, both of which are currently under construction in New Jersey. 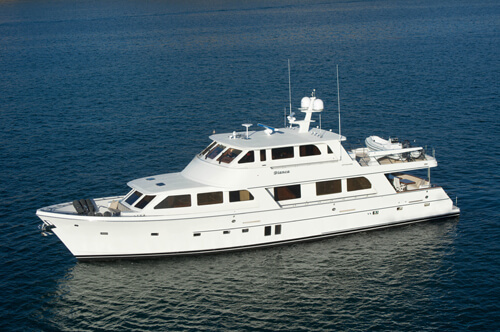 Dr. Ira Trocki, owner of other boat brands including Egg Harbor Yachts, Predator, and Topaz, acquired the assets of the Davis brand in 2003 after the company faced financial difficulties. But that didn’t slow Buddy down; instead of throwing in the towel he went right back to his roots, and began producing the Buddy Davis Edition 28. Atlantic Beach, North Carolina U.S.